OnTrajectory is a financial technology company that’s dedicated to helping you get a hold of your finances. Described as a “personal financial GPS,” it offers tools that analyze your current financial situation and give you a projection of where your money can take you. With easy-to-read graphs, it tracks whether you’re on track with your goals and aspirations for your financial future. The company isn’t exactly a robo-advisor. It doesn’t directly manage any money for you – instead, it gives you the tools that you need to start molding your financial future. You can easily look to see where your money is taking you and what direction you want to go. For example, if you’re wondering how buying a car will affect your finances in the long term, OnTrajectory can help. OnTrajectory allows you to take better control of your money. OnTrajectory offers a great set of tools to help you plan your financial future, however, it doesn't manage your finances for you. It's up to you to input your information and keep track of how your finances are doing. Pricing: How Much Does OnTrajectory Cost? OnTrajectory offers two plans: the FreePlan and PowerPlan. Both use the same tools, but there’s a limit on how much information you can input with the FreePlan. There is no extra cost to switch plans and all your information is kept if you decide to upgrade to the PowerPlan one day. One thing worth noting is that the accuracy of the OnTrajectory tools relies on entering all your financial information. The FreePlan allows you to enter enough information to effectively use the tools, but you can’t enter comprehensive information the way you can with the PowerPlan. This could be a drawback for some people. The PowerPlan comes at the price of $5 per month or $50 per year. With the plan, you get unlimited access to all the tools that OnTrajectory offers. This includes savings plans, goal tracking and no limitations on the number of scenarios that you can track. With the FreePlan, you’re only allowed to input one scenario, limiting your ability to look at all your financial possibilities. But with the PowerPlan, you can track as many as you would like, as well as enter more comprehensive information. OnTrajectory offers interactive tutorials to all registered users. There is also a general help guide to help you use the services. OnTrajectory was created to use the convenience of technology to help track and achieve your financial goals. It’s just a series of tools and simulations, so it doesn’t directly manage your finances for you. It gives you a chance to look at your overall financial situation and determine things you need to do in order to reach your financial goals. The tools help track your finances regardless of where you are in life. It doesn’t matter if you’re just starting to build income or if planning for retirement. You have to manually input all of your financial information. That includes things like account balances, interest rates and expenses. Because it doesn’t connect to a bank account, all your private information is safeguarded. Once you input your financial information, the tools offer information about your financial trajectory. You can track how your finances grow and shrink according to different actions, like taking a job with a lower salary or buying a house. The tools from OnTrajectory are meant to help you get a firmer grasp on your financial situation. You can track your finances with hypothetical scenarios and goals to figure out what you need to do to reach that point. OnTrajectory’s diverse range of tools sets them apart. They’re useful for everyone and even offer special options for financial advisors and educators. Financial advisors can use the service to model financial plans and scenarios for their clients. It makes financial planning easier and more convenient, with the user having an accurate gauge of where their future is heading. If you’re an educator, you can use OnTrajectory to teach your students about financial changes over time. With the service providing accurate economic trajectories, you can create custom scenarios to demonstrate and teach about key financial concepts. This option is available to educational institutions, public libraries and charitable organizations. Though OnTrajectory is targeted toward young people planning for their long-term financial future, it’s useful for anyone. Regardless of where you are with your finances, these tools provide an idea of how your financial future will look. Whether you’re planning for retirement or for a big purchase, OnTrajectory allows you to create savings plans and goals to help you reach these milestones. Long-term planners will benefit the most from the service. You’re able to craft different financial scenarios, whether it’s family planning or home buying. Since it gives you an overall view of your finances, you can figure out what your future will look like and how you can get there. If you want hands-on, direct control of your finances, OnTrajectory may not be the most useful service. However, it can still help as a starting point that leads to working with a financial advisor or better managing your own funds. OnTrajectory offers a free plan (FreePlan) and a paid plan (PowerPlan). The FreePlan gives you a chance to try out the service before committing. Switching to the PowerPlan costs no extra. The PowerPlan is $5 per month or $50 per year for unlimited access to OnTrajectory’s tools and features. You can access the service online. You start by answering four simple questions. This includes information about your savings, annual income and monthly savings. This helps OnTrajectory get a sense of where your money is taking you. Then you can enter more detailed information about your finances, like account balances, interest rates, expenses, assets and liabilities. You don’t need to enter any private bank information – everything is entered manually so your information is protected. Giving more detailed information leads to more accurate results and projections. After creating an account, you will have access to interactive tools and you can tailor them further to your financial situation and future. You can create hypothetical scenarios to get an idea of how your finances will be affected in different situations. You can also create savings plans and goals. For example, you may want to see how buying a car will affect your financial future. Maybe you’re considering marrying or starting a family. Or you could set a retirement age to figure out how much you need to have saved in order to retire by that age. The accurate projections give you a sense of how to plan ahead. For each financial aspect, like income, investments, assets or expenses, OnTrajectory’s projections are detailed on easy-to-read graphs. With your information stored under one account, you’re able to get a comprehensive overview of your finances. Though OnTrajectory is useful for planning for the future, it doesn’t actually control your finances for you. This can be a benefit in some ways, since you have more control and won’t have to provide your private information. But with all the different projections, you have to make sure you stay on top of your finances to keep those projections accurate. It’s more of a support tool for you if you’re working with a financial advisor or starting to manage your finances yourself. In addition, the accuracy of the tools is based on your manual inputs. Small details, like tax and inflation rates, matter in the long-run. Having to manually input everything can be time-consuming. Since OnTrajectory is a start-up, there’s a lot of room for it to grow. Its affordable and accurate tools have already helped people start managing their finances. You can plan far into the future, outlining the steps needed to reach your goals. 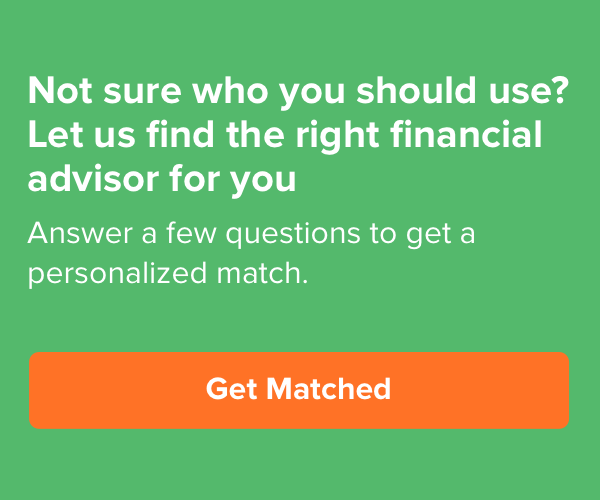 Another financial planning service is LearnVest. Like OnTrajectory, it doesn’t manage your finances for you. It offers free tools for you to use, mostly focused on budget management. It also offers a premium service for a one-time fee of $299, plus $19 per month. This option gives you a comprehensive overview of your finances and details the specific steps that need to be taken to help you accomplish your goals. This plan is made with the help of a financial advisor. Though OnTrajectory doesn’t offer a similar premium program, its free tools match the ones at LearnVest. LearnVest has a budget calculator and transaction tracker. By connecting your account, you can track your saving and spending habits. But OnTrajectory’s tools allow you to track your finances as a whole. It gives you projections of how your finances will be, while LearnVest does not. ESPlanner is another financial technology company. They offer different products for regular users, ranging from $149 to $199 with annual fees of $70. Though more expensive than OnTrajectory, ESPlanner focuses on calculating your household’s living standard and figures out how to raise it. It looks at the standard through time to determine financial actions that should be taken to reach goals. It’s a similar service to OnTrajectory, but at a higher price and different focus area. Bottom Line: Should You Use OnTrajectory? OnTrajectory is a useful financial planning tool. You get an overview of what your financial future looks like in the long term and you can plan ahead with that information. You can also create what-if scenarios to get a glimpse of what your financial future looks like if you make certain financial moves, like moving or buying a car. It’s a helpful tool for financial planning, but that’s about it. It’s up to you to take the information given and apply it to your actions. This can be hard if you have no financial planning experience. But it’ll be useful regardless to get a look into where your financial future is heading.